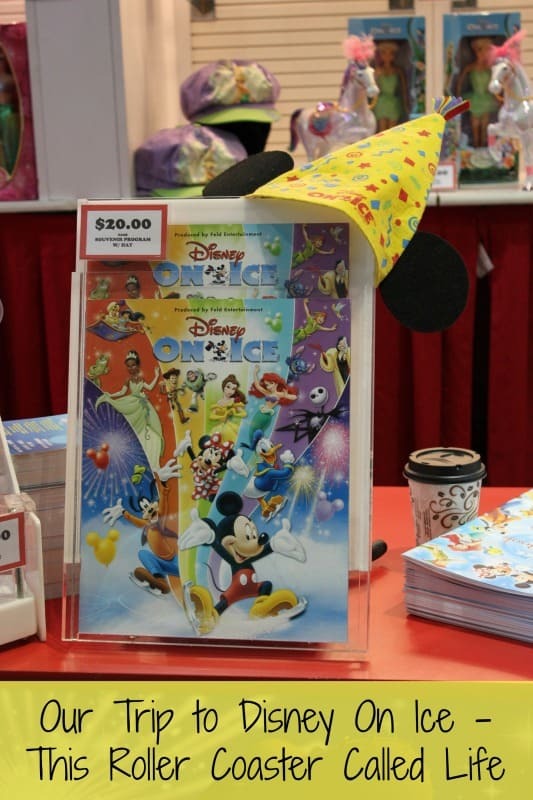 I received tickets to see Disney On Ice – Let’s Celebrate!, so I could share my thoughts with you. 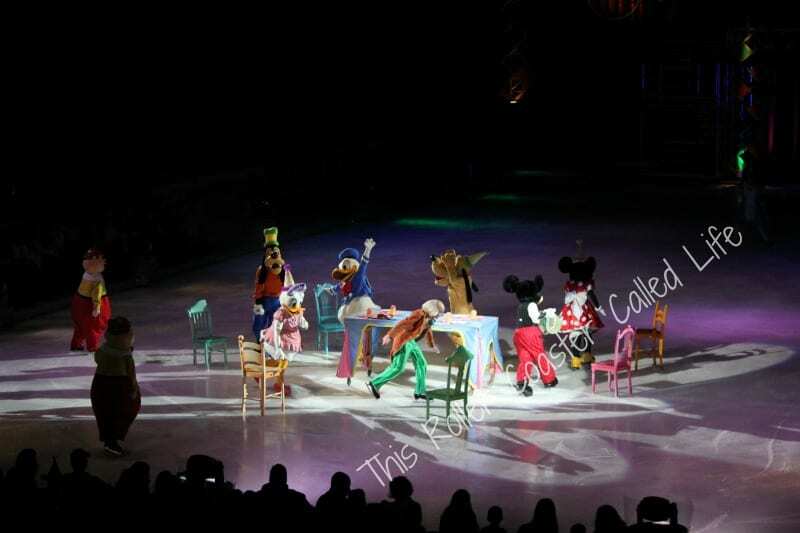 On Wednesday night, my family was treated to seats at Disney On Ice – Let’s Celebrate! 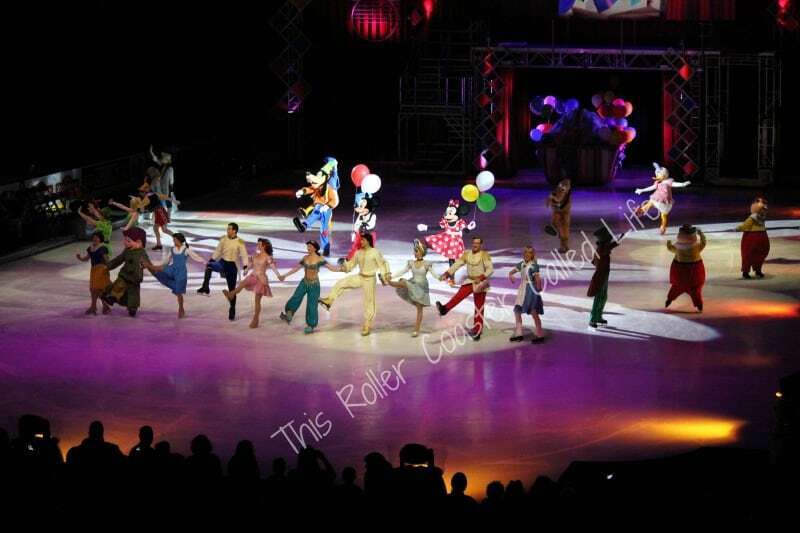 We had never been to see Disney On Ice before, so this was a whole new experience for us. We arrived early and looked at the many different souvenirs that were for sale. I think the best souvenir that I saw was the show program. I know it looks pricey, but there are a lot of great pictures in it to help remind us of our time there. Just as a side note: The pictures in the program are a lot better than any of the pictures I was able to take. We took our seats early to make sure that we didn’t miss any of the show. The show began with Lumiere from Beauty and the Beast singing “Be Our Guest”. A cavalcade of characters took the ice to join him. Some of the characters, like Dopey, only appeared in the first number. Mickey and Minnie decide to “visit” different celebrations. They start with “birthday”, but no one has a birthday. So, they celebrate “unbirthdays”. Since Mickey didn’t have a proper “unbirthday” hat, he took the Mad Hatter’s hat. A chase ensued that caused the cake to be dropped to the ice. Now, what do you think Mickey would use to clean up the ice? Obviously, I don’t want to tell you all the details because I want to encourage you to go see it. It is so well done and filled with skating moves that I really didn’t expect to see at this type of performance. The skating moves that the princes and princesses did were really topnotch! After intermission, Mickey and Minnie (and the rest of the gang) did some traveling to visit celebrations in other locations. One of their stops was Hawaii with Lilo and Stitch. Some of the things done in this segment were absolutely incredible! I have never seen an ice rink set on fire before, have you? 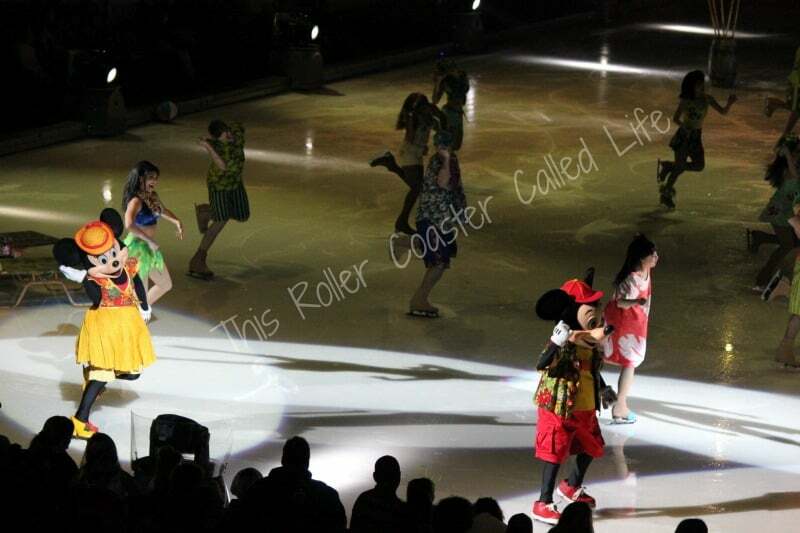 Mickey and Minnie wore so many different costumes in this production! Every holiday had a different costume, and they were stunning. I think my favorite one of Minnie’s was her princess costume. There really is more that I could share with you… But the main thing is that if you have the chance to go see Disney On Ice, you really should! I know that my kids are hooked. (Are you surprised?) They are already asking when the next Disney On Ice show will be coming to Hershey. 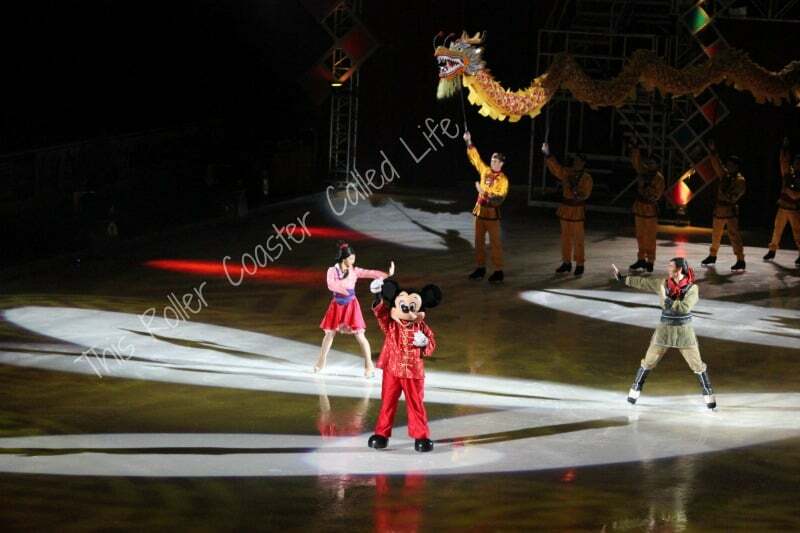 Disney On Ice will be at the Giant Center in Hershey, Pennsylvania through Sunday afternoon (10/20/2013). You can buy tickets on Ticketmaster. 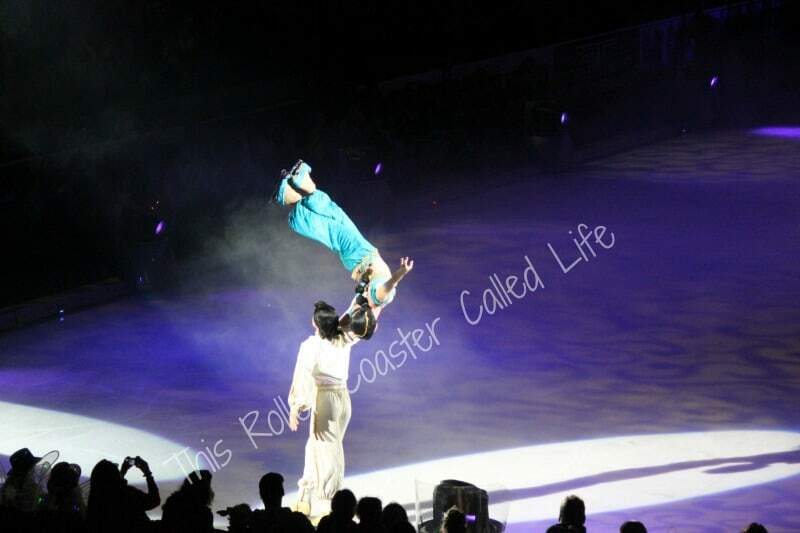 If you aren’t near Hershey, Pennsylvania, you can look on the Disney On Ice website to find shows near you. I hope you have the opportunity to see this great show! 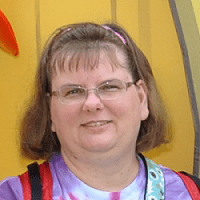 Disclosure: I received tickets to take my family to see Disney On Ice – Let’s Celebrate! I received no other compensation, nor was I required to write a positive review. All opinions are mine based on the joyous looks on the faces of my kids! I have never been to this, but really want to go!! 🙂 Thanks for sharing.